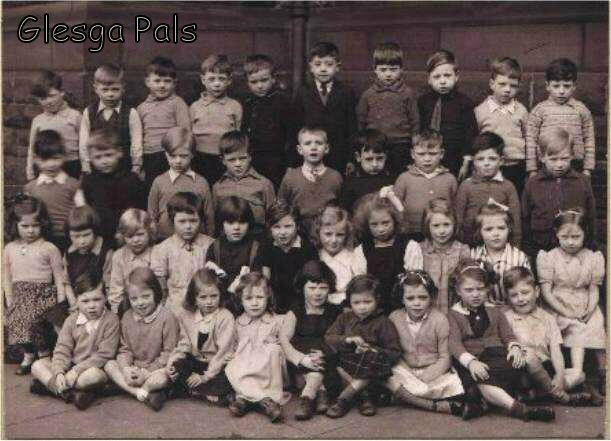 ....I can give you a name for the 1945class of 7yr olds in Queen Mary St.school .#6 in the back row is my cousin Martin Carlyle. His brothers picture is in the 1951 8yrold picture #9 3rd row. Hi Webmaister, Ah went tae Queen Mary Street 'n John Street (pronounced Joan Street back then). Is it possible that the 19457yr.aulds wur really 6yrs?, 'cause ahm nearly certain that's me tap row extreme right. At age 10/11 ah wiz pally wi' Martin Carlyle, a classmate, who is in this1945 photie. Ah suppose its possible he wiz put back 'cause o' Ringworm or sumthin. If it turns oot it wiz mah class ah could supply names of aboot thirty weans who wur in mah class at that time. .Keep up the great work. Jackie Dougall.